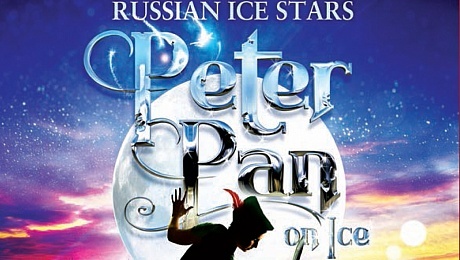 The world-renowned Russian Ice Stars bring a new adaptation of this famous fantasy adventure by J.M. Barrie to the Bord Gáis Energy Theatre. I’ve never been to see Ice Skating before and it took a huge amount of time for me to get into it. Quiet a shock to the system when there was talking or narrative to any of it, just music and dances. I did enjoy it up till the second half. My partner was the one who pointed out that the lead, Peter Pan, looked to be the weakest of the skaters, and the only one who took a tumble at the end. It was opening night, so I’ll let it slide. It could have been better put together. Story wise it was hard to follow and some scenes I just didn’t get what the skaters were trying to get across or where the hell we were in the story. I loved the acrobatics and for kids to see people swinging around is amazing. Just to warn you; some stunts performed do leave you feeling inadequate as a human being. These skaters can do all these tricks while on blades and spin around a tiny stage at heart-stopping speeds, that you’re always holding your breath for the impending crash. Another thing that really struck me. Some scenes could have been toned down slightly. There was a lot to follow and take in- too many people doing different things that you don’t know where to look. So just be aware you are going to miss out on amazing performances because someone in the back caught your eye and you can’t stop staring at them- wondering what the hell they’re up to. While everyone else is cheering at amazing skating that you completely missed out on. The show should have had some narrative to it, just for the kids to follow. I did notice that before we even got to the mid-way point, that a kid in front just wasn’t interested, and I’m sure he wasn’t the only one. Kids want to be told a story, go on an adventure; not watch people skating, and because it was just a bunch of people dancing, he wasn’t buying it. This show is aimed primarily at kids, and I think they should think more about them and how to get the story across to them. All the skaters were amazing, and really sold it for the kids who giggled and cheered when a splash of comedy and Captain Hook came on stage, who was the best skater of the night; he was just flawless and he really owned that part, Tinkerbell was adorable, and all the Lost Boys we’re exactly how you wanted them to be. For a first time ice skating show, it was an experience. Probably if I had an idea of what I was walking into I would feel differently, but I went in there completely blind.